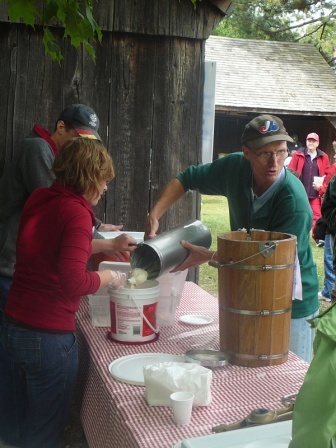 Please head for the official site of the Ontario Toronto Mennonite Festival (Black Creek Pioneer Village Relief Sale). My DeHaan Services blog includes the category, “Toronto Events”. See you next year! My “The 2011 MCC Quilt Auction and Relief Sale Event at Black Creek Pioneer Village” article promotes this Toronto event. It is an important annual fundraiser for MCC, an international aid and relief organization. My article also introduces MCC as well as Black Creek Pioneer Village. Tourists will find the directions, date and time, and cost information especially useful. Although this Directory puts my article simply into the “article” category, it happens that I invest time and effort into the annual MCC Quilt Auction and Relief Sale at Black Creek Pioneer Village as a volunteer. This entry was posted on Wednesday, September 14th, 2011 at 11:57 am	and tagged with Articles and posted in Writing. You can follow any responses to this entry through the RSS 2.0 feed.